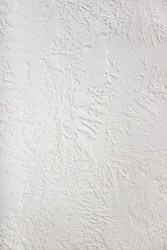 We provide a wide range of Ceiling Texture Painting Service that are use on exterior as well as interior surfaces of cement plaster, concrete, bricks and masonry. The texture paints product has good weather and water resistance and provides an attractive texture that will hide and cover minor imperfections in the surface. We provide a wide range of Ceiling Texture Painting Service that are use on exterior as well as interior surfaces of cement plaster, concrete, bricks and masonry. The texture paints product has good weather andwater resistance and provides an attractive texture that will hide and cover minor imperfections in the surface. To match with the needs of our prestigious clients, we are engaged in delivering Texture Painting Service to our patrons’ at most affordable rates. The tools and machinery used for implementing these services are of superior quality standards due to which we are able to deliver flawless and quality assured services to our customers. We provide a wide range of Ceiling Texture Painting Service that are use on exterior as well as interior surfaces of cement plaster, concrete, bricks and masonry. The Ceiling Texture Painting Service has good weather and water resistance and provides an attractive texture that will hide and cover minor imperfections in the surface.